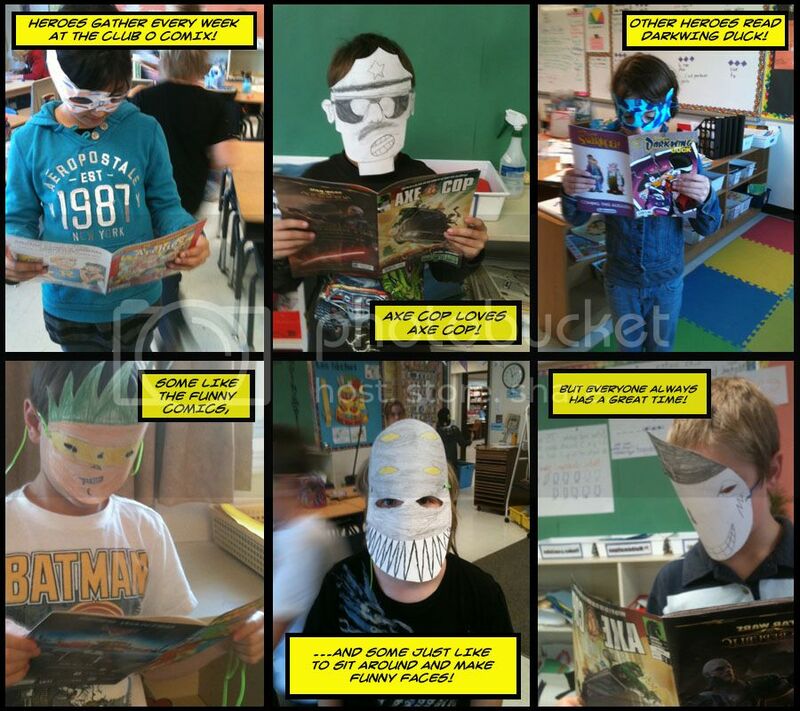 Since October 2010, Empire Public School has been spreading the joy of comics with the "Club O' Comix", a comic book reading club for children in grades 4,5, & 6. Started by Mme. Colaiezzi as a way to motivate her students to read, the club has grown from a few members in its early days to over 30 students who meet twice a week. The students almost immediately developed an increased desire to read, and they also showed a desire to hold different events and do special projects each year. There are contests for best story, best comic strip, best superhero, and more! The students have done everything from name their club, to creating a club logo, to putting together their own comic strips to share with each other! Retro Rocket Comics and Toys has had a fantastic relationship with the Club O' Comix since its inception. Chris Chettle (owner of Retro Rocket Comics) is known by the name "Comic Book Chris" at E.P.S. and has stopped by on numerous occassions. Comic Book Chris loves to tell the students all about running the comic book shop, or discussing everyone's favorite superheroes, or judging art contests. The students also recently received a large box of free comic books courtesy of the recent COMIC BOOK EXCHANGE to add to the HUNDREDS of comics they already have to enjoy! As FREE COMIC BOOK DAY rolls around, "Comic Book Chris" is sure to make another appearance at Empire Public School to talk to this year's batch of comic fans!! !